I am very excited about this weekend's show. 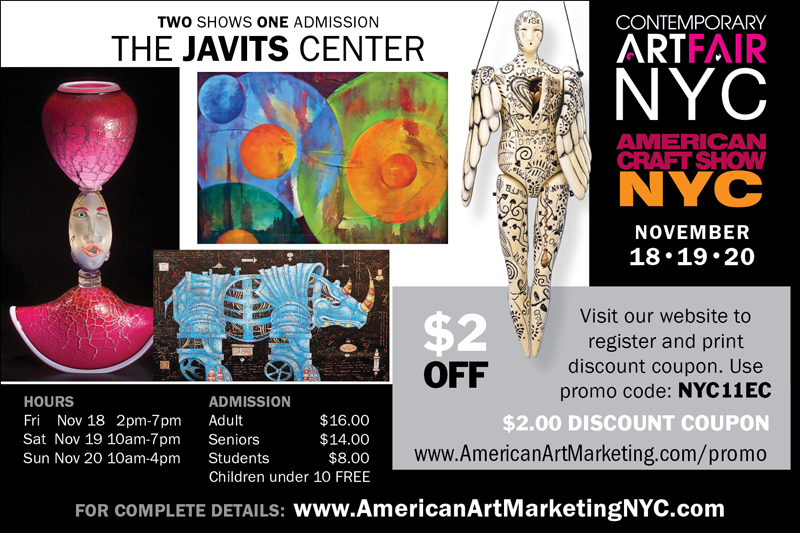 Stop by my booth H-3 for the "CONTEMPORARY ARTFAIR NYC" 2011. 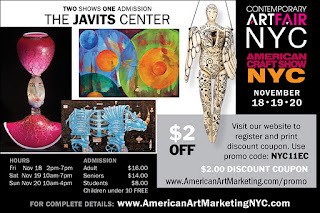 It is 2 shows in 1 with the American Crafts Show going on along side. Attached use the $2.00 off coupon.